Asa Herndon is a senior at Tunstall High School. 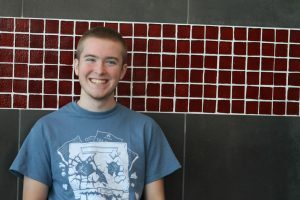 This is his third and final year on the Trojan Messenger staff before he graduates. When he is not in school, Asa enjoys reading, writing, playing video games and performing plays at the North Star Theater Project. When he graduates, Asa plans to pursue a career as a pharmacist, and will be attending Danville Community College, Liberty University and Shenandoah University to earn his education.